Check out these running health facts that you might not have known. Running and health go hand-in-hand. It gets your blood pumping and strengthens your heart muscle. It helps combat obesity and related diseases like diabetes and some experts might have found a link to cancer prevention. But did you know that running causes your heart to pump blood with so much force it could shoot the equivalent of 30 ft.? Running tones and strengthens your heart, the force and volume of blood pumped per beat helps lower blood pressure! This isn’t necessarily a running health fact, but it’s a cool fact! There is considerable debate over which is better for you: running or walking. People that claim that walking is better for you argue that it doesn’t matter whether you run or walk, the distance burns equal calories. Plus, they think running hurts your knee joints. It turns out that running burns over 50% more calories than walking and running is good for knees! Running helps reduce weight by burning between 500 and 900 calories per hour; every pound makes a difference on knee joints. Running also helps strengthen muscles surrounding knee joints by supporting weight and taking some of the pressure off joints. 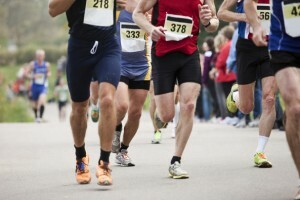 A recent study out of Australia found that non- runners have thinner knee cartilage than runners. 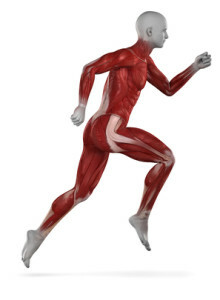 Thicker cartilage cushions bones during high-impact running. Most running injuries occur when runners are beginners; they may push their muscles too hard. Muscles should be stretched and if you are starting running “from the couch,” you should get your body used to activity by walking first. Injuries like strains and sprains can be prevented by warming up muscles properly by stretching them and strengthening them with other exercises. Start by jogging slowly at first and then increase your speed as your body gets accustomed to running. One of the greatest things about running is its simplicity. Almost anyone can run! You might not start out looking very cool; but in time your form will improve. You can run on almost any terrain in almost any weather; all you need is a good pair of running shoes and in some cases a sports bra! The topic of running shoes tends to start a little controversy in the running world. Some people believe the very best brand new soles help you to run better and others believe that is just hype and any old pair will do. Figure out what works best for you; springy fancy new shoes or broken in old-faithful. 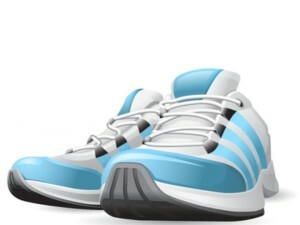 Worldwide, 1 billion pairs of running shoes are purchased every day. Although running is a simple activity to begin, it can be hard. Sticking with a new running program can be difficult; many people suggest getting a running buddy. Running with a partner will help keep you motivated to run a little further than the day before and to keep getting out there. Maybe you’re not in the mood or you’re feeling discouraged, your friend can remind your goals such as weight loss or heart health; and you can do the same for them. If you go to the gym and you are debating which cardio machine to use because you want to burn the most calories in the time you have: pick the treadmill. Running burns the most of any cardio machine increase the incline or do speed intervals to burn even more calories. Most gyms have televisions in them so you can get lost in your favorite show while you burn calories. If all the Running Health Facts Aren’t Enough, Maybe these can Get You Jogging! Another interesting running health fact is that it’s good for your skin. For one thing you should be drinking more water, which alone is fantastic for your skin. 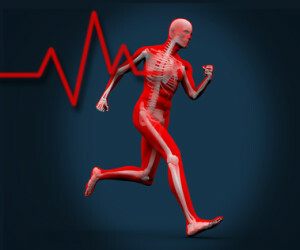 Also, running helps circulation through large arteries and tiny capillaries located close to the skin. The improved circulation helps move toxins and brings oxygen to the skin. Maybe the most important running health fact is that running is good for your brain. Runner’s brains become flooded with endorphins after a moderate run. Endorphins are the feel good hormones your brain releases; they make you feel happy and euphoric. 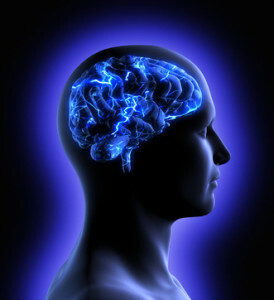 Your brain also benefits an increase in circulation; pumping blood means more oxygen and nutrients for the complex brain. There are dozens of running health facts; there are a lot of myths, too! So get started, sign up for a 5k, or just strive to improve your health. Running’s health facts might save your life; or at least your waistline!